Our most recent kitchen remodel featuring maple cabinets in natural stain with a distressed island in Ebony colortone(painted maple). 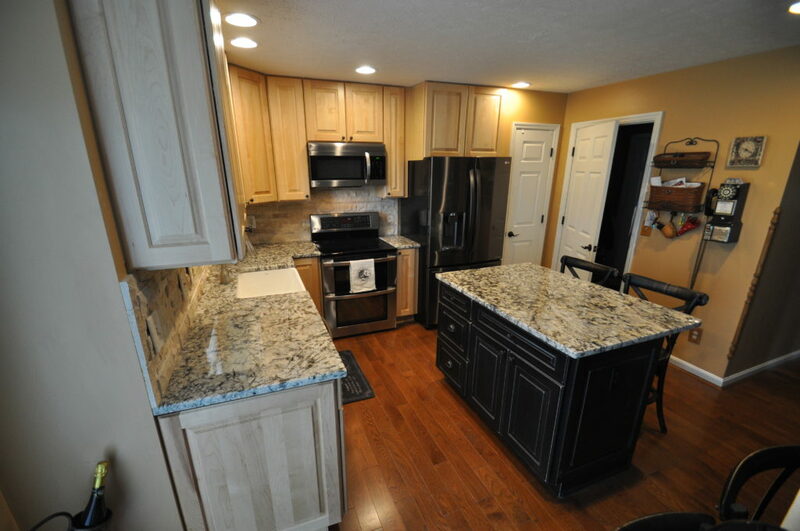 The exposed ends of the island and perimeter are decorated with end panels that match the doors. 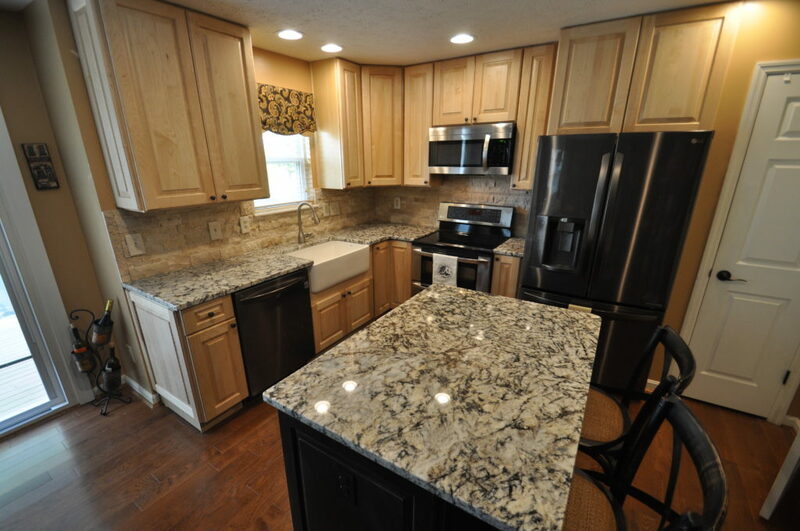 A farm sink, granite countertops and split face travertine backsplash really highlight this kitchen remodel. All doors and drawers are soft close with hardwood/ dovetail drawers. Tarvin Plumbing did the design, tear out, rough in, cabinets and plumbing. 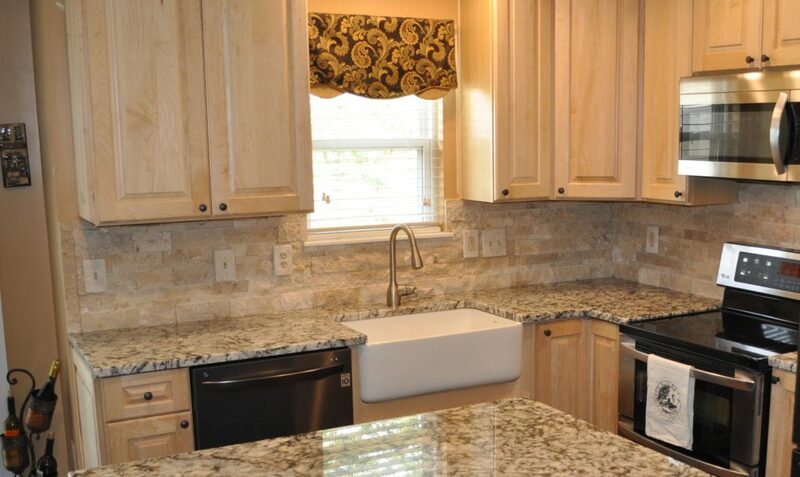 Countertops, backsplash and electrical were performed by sub-contractors we’ve worked with for 15-30 years. This entry was posted in Kitchens, Tile and tagged distressed cabinets, farm sink, granite, kitchen remodel, plumbing, tile backsplash. Bookmark the permalink.